A new report by UK’s Pets at Home on the beneficial effects of pet ownership suggests that owning a pet may in fact help children with their homework. 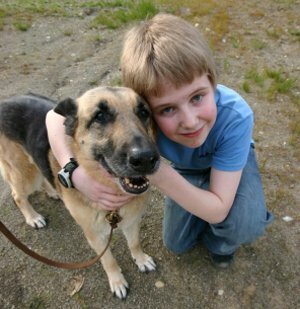 The survey of 1,000 pet-owning children, aged between 5-16 years old, revealed that the vast majority (79%) believe their pet friends have a positive effect on their homework and schoolwork in general. Children with rats or mice are the most likely to believe their pet could be helping them with their homework (92%), against 86% and 80% for children owning dogs and cats respectively. Wildlife TV presenter and animal lover Michaela Strachan endorses the findings: “I have a seven-year-old and three older step children. We have a Jack Russell and my stepdaughter has two rescue dogs. “Toto, our dog, is part of our family and has brought huge benefits to Ollie, my son. Jade’s two rescue dogs, Marley and Timmy, have had a really positive impact. Nearly half of children believe owning and looking after a pet makes them happier, a third claim to be calmer, while a fifth feel more intelligent. East Anglia (57%) and Scotland (54%) are where most children feel happier as a result of owning and caring for a pet. Figures also showed that chinchillas and degus have the biggest influence on a child’s cleverness, with 55% of children owning such pets feeling more intelligent. Commissioned by Pets at Home as part of their Kids’ Holiday Pet Club, a series of free pet workshops for children taking place at all stores throughout the summer holidays, the study identified other significant improvements children noticed through pet ownership. More than a third (36%) say they have become more caring, 34% feel a greater sense of responsibility, while one in five have become better at talking to people. Reptile owners, with 68%, top the charts for those believing their pet had given them a greater sense of responsibility. Rabbit owners come second with 61%; 40% for cat owners and 36% for dog owners.